As of this morning, we have created and launched a new economic development and revitalization blog called Progress Pennsylvania. The blog will be solely focused on promoting economic development efforts from around the Commonwealth of Pennsylvania. Seventy-four of our revitalization posts from Roy’s Rants were copied and transferred to Progress Pennsylvania as well as remaining here on Roy’s Rants. It seemed only proper that this body of work should have its own home going forward. Thanks for your support and we look forward to continue delivering news and information with no-nonsense! You can click on the link below or click on the link to the right of your screen under Economic Development! Lancaster’s Spanish American Civic Association (SACA) was formed in 1984 to focus on the purchase and rehabilitation of vacant and blighted homes in Lancaster’s southeast quadrant neighborhood. This neighborhood is 63 percent rental properties. 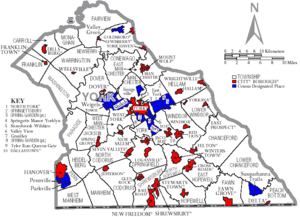 Lancaster City is 33.2 percent Hispanic. The SACA Development Corporation rehabilitates numerous vacant and blighted properties and returns them to the housing market every year. The new or renovated housing units are affordably priced housing for low or moderate-income families. The SACA also provides many other services: a senior center, meals, employment assistance, case management, HIV/AIDs./HepC counseling/testing, career development, training and adult education, youth programs, drug and alcohol education, student family liaison, behavioral health services, a drug and alcohol treatment facility, adolescent counseling and therapeutic services. The SACA Development Corporation’s latest project is the near completion of 13 townhouses under their Homeownership Choice Program. These homes are priced at $99,600. Twenty-seven other homes were built or converted in two other phases prior to this third phase. 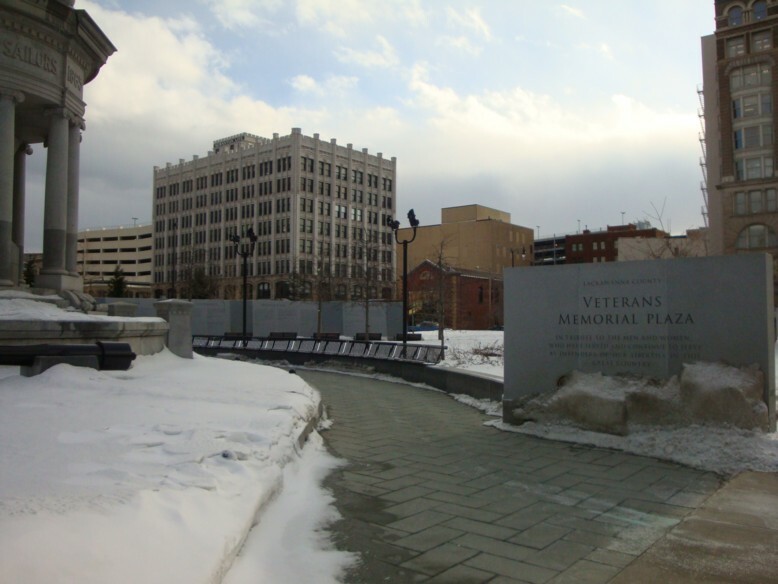 An East Petersburg, PA contractor won the bid so construction was done by a Lancaster County company. These are state of the art, energy-efficient homes with every conceivable convenience built in. Because these homes are new construction in Lancaster City, the owners will benefit from a tax-abatement program and pay lower property taxes. This third phase of transformation will reduce blight, reduce crime and stabilize the area with homeowners (stakeholders) versus tenants (transient residents). The Homeownership Choice Program is available through the Pennsylvania Housing Finance Agency. Money also came from the city, the county, the Federal Home Loan Bank in Pittsburgh, PA Department of Community and Economic Development and Neighborhood Assistance program for tax credits. Lancaster based Fulton Bank was the construction lender. Redevelopment really does take a village! A goal that emerged from the Build York Summit, that concluded yesterday, was for York to become a walkable community. We here at Roy’s Rants think is a great goal. 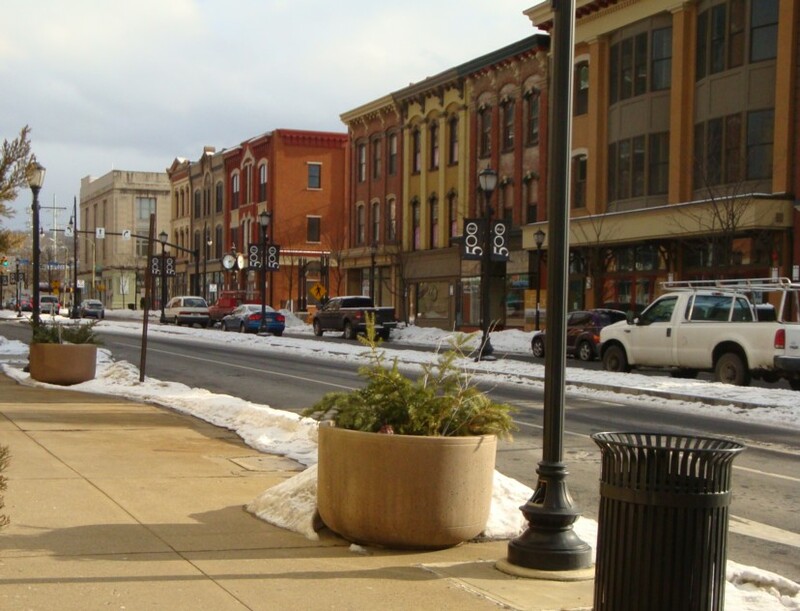 York has a compact and very historic downtown like Lancaster and Bethlehem. Urban land use expert, Chris Leinberger from the Brookings Institute was a keynote speaker at the conference and emphasized that York should embrace the “walkable community” strategy to redevelop the city. Walkable communities are desired by college students as well as other segments of the population. Walkable communities have a higher rate of retention once students graduate college and seek employment. York is already a college town so this strategy could be easily implemented and bear fruit quickly. Downtown Inc. Director, Sonia Huntzinger took this a step further and said York could also capitalize on the city’s hospitals. Hospitals tend to be large employers. Having a vibrant, walkable downtown to present to prospective employees would make recruitment easier for the hospitals. A Building York summit was called by York Mayor C. Kim Bracey and her partners to identify economic and community development opportunities and challenges that face the York Metropolitan area. The summit means to: identify goals, educate the community, spur redevelopment in the urban core, accelerate investment, formulate new ideas, and create momentum, partnerships and a sense of urgency. The goal of the two-day summit, which ended Thursday, was to formulate a plan of action from 2011 through 2015. One of the cool events was the screening of a film called “My Tale of Two Cities” by Carl Kurlander. The film chronicles where Pittsburgh was, where Pittsburgh is and how Pittsburgh reinvented itself. Kurlander gave an inspirational talk to the large crowd and said things like: believe in the possible, what happens in York matters to everyone and do not tear down all the beautiful historic buildings! It was a message of hope and what can be accomplished if the entire York community pulls together. Sessions offered to participants were on topics such as: sustainable infrastructure and Pennsylvania’s green economy, best practices in urban renewal, residential reinvestment and new methods and practices in urban redevelopment and investment. The sessions were followed by roundtable discussions, led by York civic and community leaders. Two Roy’s Rants thumbs up to York City and County leadership for working together to improve the entire York Metro area! My trip to Scranton included meeting and touring with Charlie Jefferson, along with Mayor Doherty. Charlie is a Scranton developer who has a passion for his work and a desire to see Scranton blossom. Charlie is responsible for the dramatic transformation of the Connell Building. Charlie, like Mayor Doherty, is very down-to-earth and approachable. 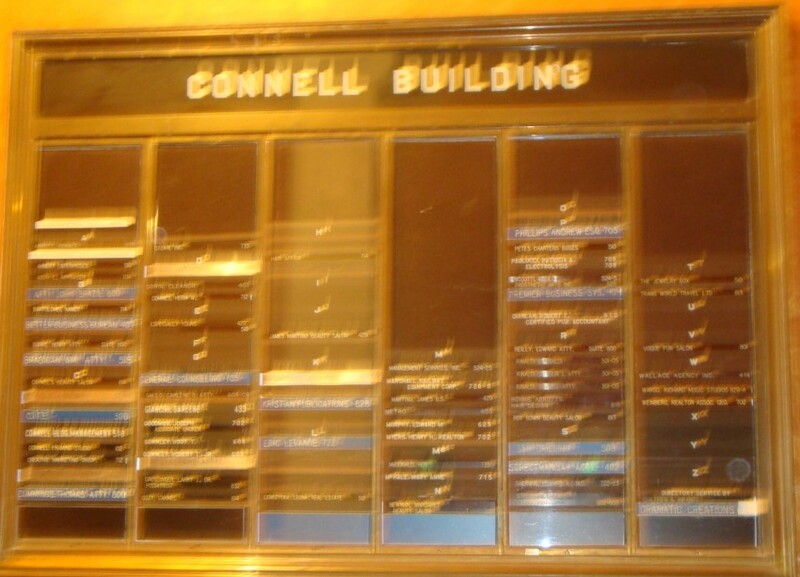 Charlie took us inside the Connell Building. The eight-story building sat vacant for 10 years before being developed. 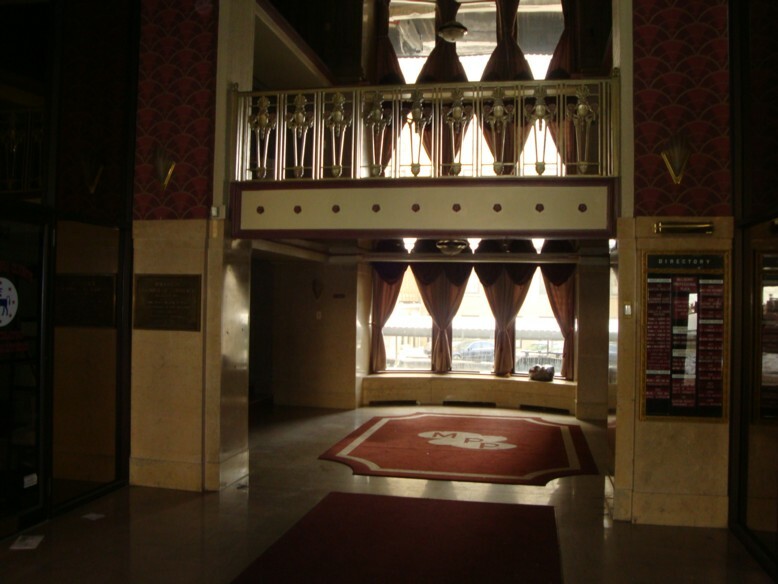 The building’s occupancy rate was about 20 percent for ten years before becoming vacant. Now there are 89 new 1 – 2 bedroom, market-priced, luxury loft apartments. 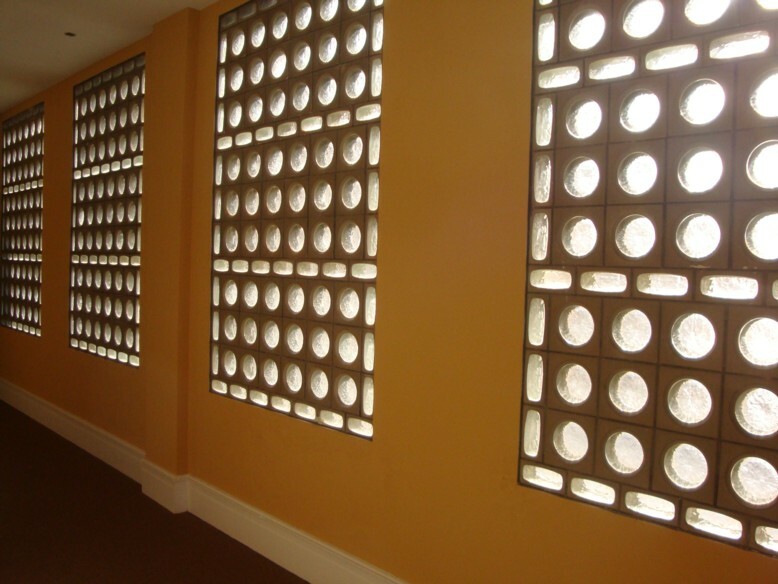 The building has been beautifully restored, while maintaining historical integrity and bringing the building up to code. Every loft is rented. There is a waiting list! I have no interior pictures of any apartments because there is no model and Charlie was unable to contact anyone who might have let us tour and photograph their apartment home. Maybe next trip! The bottom two floors of the Connell Building will be used for commercial/retail/office. This will be a great example of mixed-use development when this part is finished. Charlie said he is working with a grocery store to move into the building along with other tenants to fill the remaining commercial/retail/office space. Imagine the convenience of going down an elevator to the grocery store. No driving, parking and traffic! City living at its finest! Another nice feature of the Connell Building is the attached parking garage. Secure garage parking is available to all the residents of the Connell Building if they choose to rent a space. Over 50% of the Connell Building’s tenants are new residents to Scranton and Lackawanna County. There is a growing segment of people who want to live in a redeveloped heritage property. These people are usually well-educated professionals who want the best urban living has to offer. There are looking for walkable downtowns with fine restaurants, shopping, cultural events, services and entertainment. Concentrated pockets of people in a downtown, with disposable income, will greatly increase the customer base for stores, restaurants and other businesses in general. This phenomenon is not necessarily limited to the 20’s – 30’s demographic. There are more middle-agers and seniors who want to sell the house, downsize and become urban dwellers entering this emerging market. 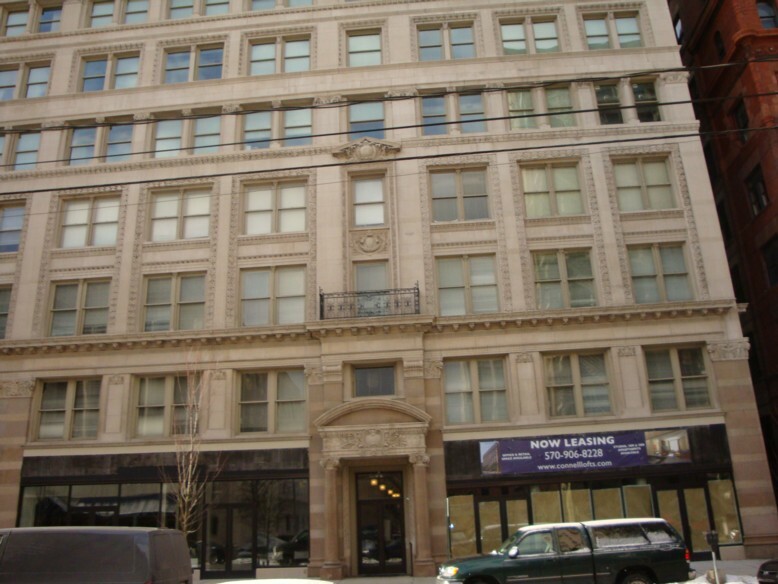 The Connell Building’s first tenant is a grandson of the building’s original owner. He was very excited to see his family’s former building redeveloped and wanted to be part of the renaissance in Scranton. Charlie’s newest project is the redevelopment of the former Chamber of Commerce Building, not far from the Connell Building. The building is now vacant. Like the Connell Building, the old Chamber Building was constructed during Scranton’s King Coal heyday. It is very opulent. Charlie plans to do the same thing with this building as he did with the Connell Building. 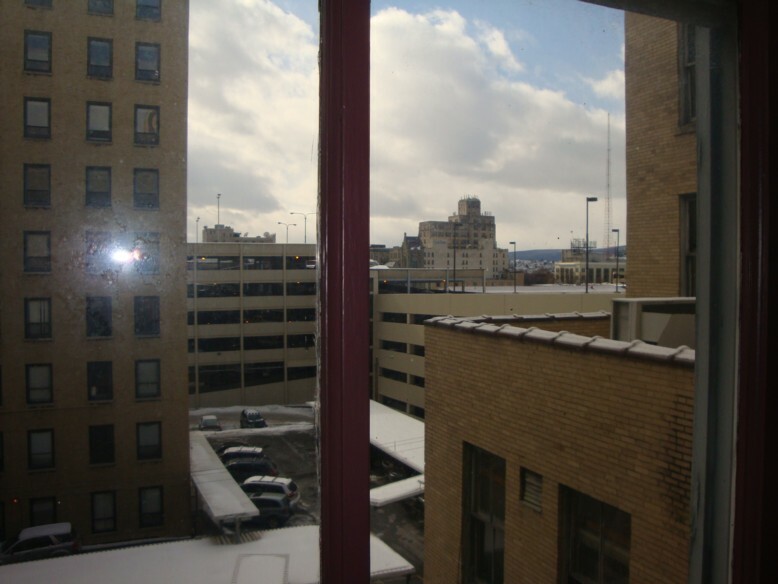 It is expected that Scranton will need 600 more apartments/condominiums in the next 5 years because of the medical college and spin-off development. If the law school becomes a reality, that number will substantially increase. Charlie took us inside the old Chamber Building and we poked around. Structurally it is in great shape and ripe for development. 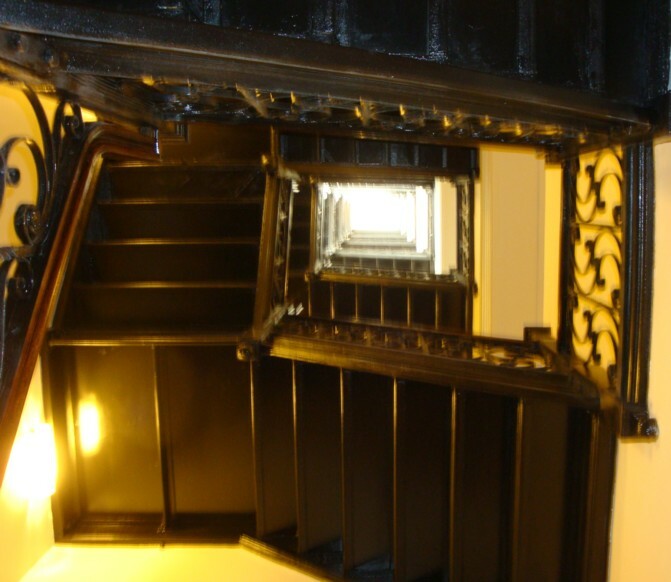 The building has amazing architectural features and many of the apartments will feature spectacular views of downtown Scranton. There will be balconies! 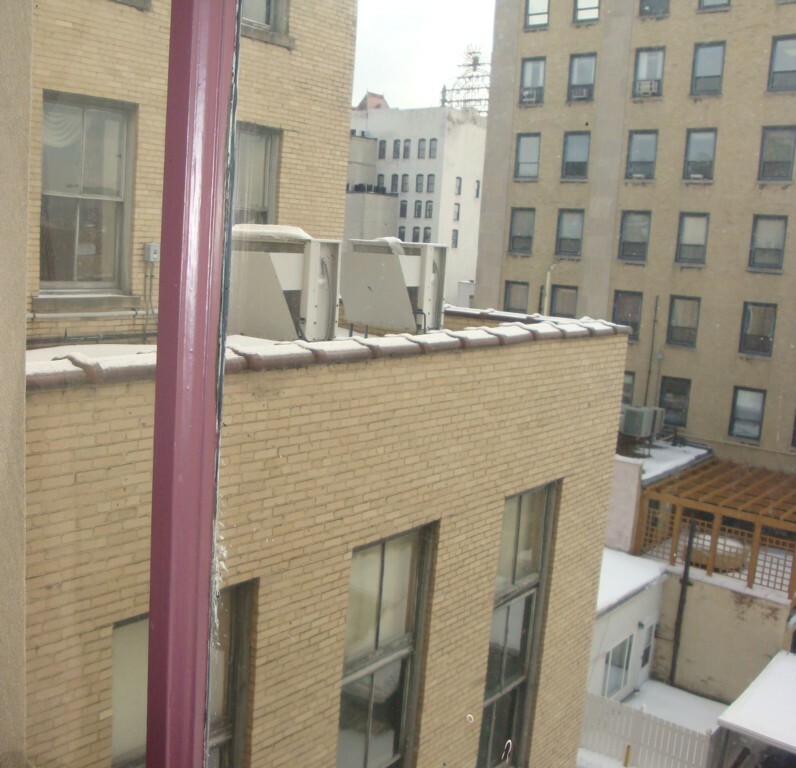 This project will rent out quickly because of the location and unique features of the space. The success of the Connell Building has paved the way for further mixed-use development downtown. I am looking forward to the completion of Charlie’s newest project. It promises to be amazing. Having a great developer, like Charlie Jefferson, to work with is a huge part of the redevelopment process. Mayor Doherty has surrounded himself with some very competent people to help turn his vision for Scranton into a reality. 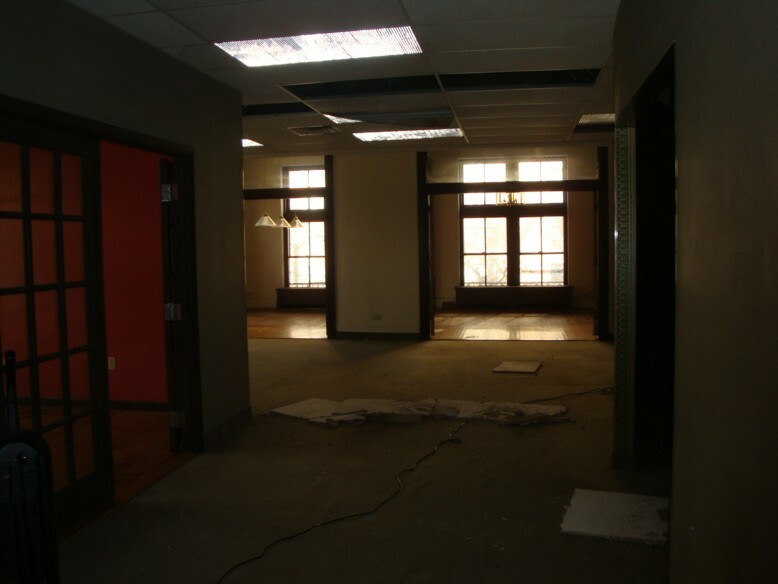 Chamber Building pictures below, currently vacant awaiting development! I asked Mayor Doherty if the population decline in Scranton was a concern and was he focused on trying to reverse it. The mayor said the population is growing and becoming more diverse. There are now two dozen languages being spoken in the Scranton School District and over 70 ESL teachers. When the mayor took office ten years ago there was one ESL teacher in the school district. I recently read that the Scranton/Wilkes-Barre metropolitan area is the least diverse of any metropolitan area in the United States over 500,000 people. It would seem this may be changing. We talked about the significance of what having a medical college and possibly a law school would mean for Scranton. Bringing in and retaining college educated people will help stop the “brain drain” and grow a population with more disposable income. This in turn fosters economic development and reduces crime. Medical schools and law schools bring a certain amount of prestige to any city lucky enough to have one. Perception is a hard thing to change. These types of accomplishments will tangibly demonstrate that Scranton is not a rust-belt, blue-collar, post-industrial casualty. Instead, Scranton has pulled itself up by its bootstraps and seeks to reclaim her proud heritage and rightful place as an economic powerhouse in Pennsylvania. With a new governor in Pennsylvania things will most likely change. Ed Rendell was a friend to Scranton and poured $140 million into the city for economic development. Governor Corbett is still an unknown, only just taking office. Many who received funding from Rendell are worried that money might be harder to come by under Corbett. The good news from Scranton is private sector funding for economic development has reached a level that will sustain Scranton in the event that money from Harrisburg dries up. One of Mayor Doherty’s mottos is “invest in yourself”. 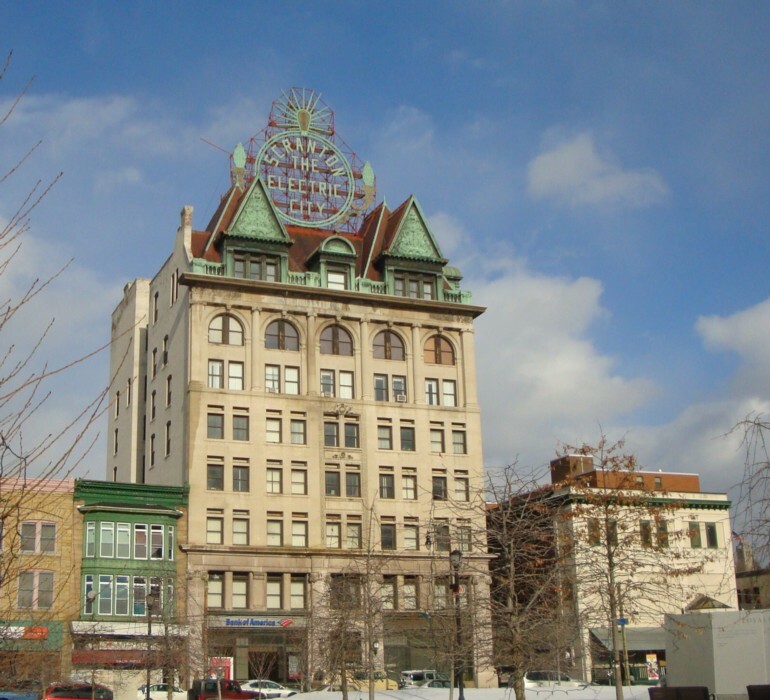 Two examples of this are the restoration of the municipal building lobby and fixing the broken “Scranton The Electric City” sign that is perched atop on of the city’s taller buildings (pictured above). The mayor feels strongly about the message neglect, disrepair, messy, dirty and cluttered can send to residents and visitors. 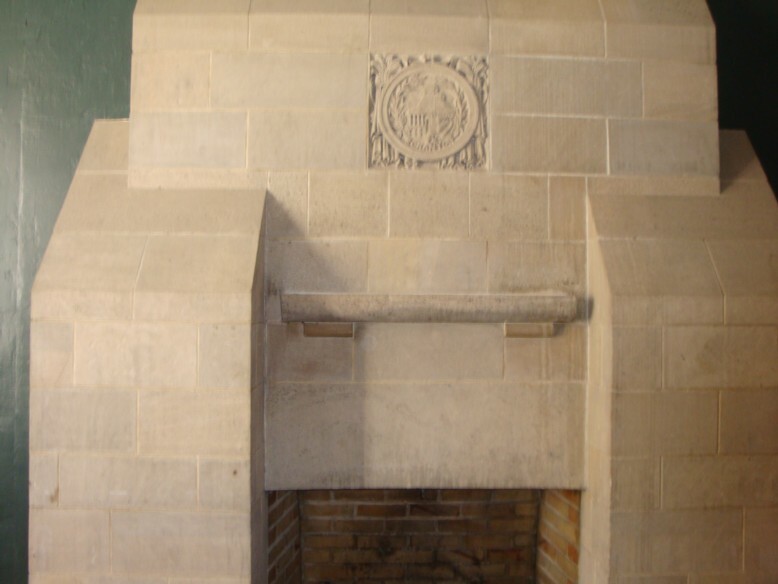 The first-floor lobby area in the historic Municipal Building was cluttered with soda/snack machines and was in need of a major spruce up. The mayor did just that. 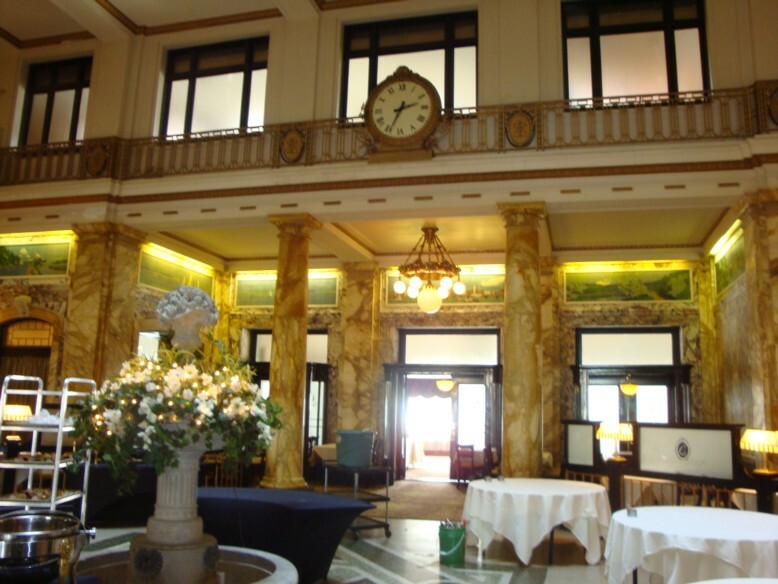 (While I was waiting outside the mayor’s office, I took a picture of the lobby because it was so impressive – see Part I photos). The “Scranton The Electric City” sign had been broken for decades. Now the sign lights up every night and makes a positive statement about the Scranton of the present, while honoring the city’s past accomplishments. Having frequent events is an important tool Scranton uses to promote itself, attract tourists and prospective residents. Scranton has a huge list of events like First Night, St. Patrick’s Day Festival (3rd largest in the U.S. and draws 150,000 people), La Festa Italiana (draws another 150,000 people), Komen for the Cure (10,000 people), Steamtown Marathon (2,500 people), Scranton Jazz Festival and the Pages and Places Book Festival. These events are helping to make Scranton a “destination”. My last question to Mayor Doherty was “What has been your greatest challenge?” His answer was “changing the way people think”. People need to believe that things are possible instead of falling into the “it can’t be done here”, “it will never work”, “we can’t afford it”, “we never did it that way before” and the litany of excuses to maintain the status quo. The status quo is why Scranton hit bottom and had 22 empty building in its downtown. Mayor Doherty has a vision for Scranton and is undeterred by criticism and negativity. Nor is he content to rest on his laurels. He always has future projects on the back burner and showed me some of them while we walked. 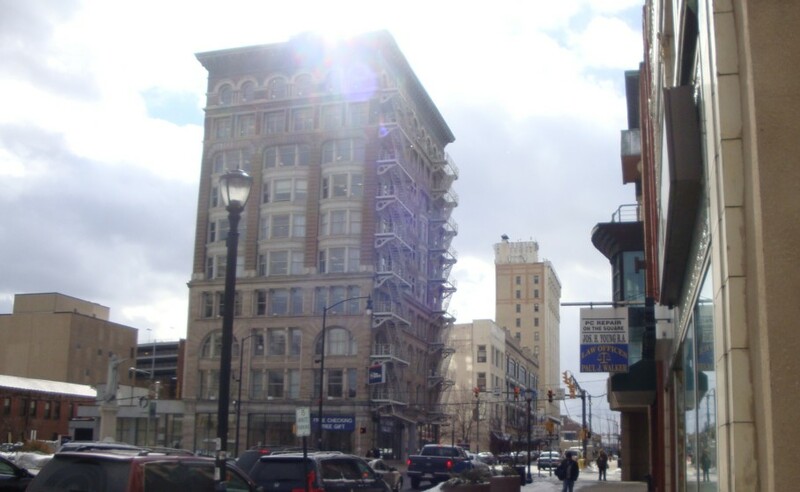 The mayor is taking the revitalization of Scranton one project, one building at a time. I will share one last thing Mayor Doherty said to me, which is important to always remember. These things take time. It took seven years to get to the Connell Building project completed. Construction took less than one year. All the planning, committees, red tape etc… took six years. Rome was not built in a day and neither will Scranton (or any other city) be magically revitalized. The mayor has accomplished all these things over ten years. It takes a dedicated team of people to make all this happen. It also takes someone like Chris Doherty to lead the team with a positive, can-do attitude, a never give up mentality and most of all a healthy dose of patience. The Electric City has a bright future and is poised to again become one of Pennsylvania’s most vibrant and important cities. I recently had the pleasure of being given a tour of downtown Scranton by Mayor Chris Doherty. Here are some thoughts and observations from my experience. Mayor Doherty is a very down-to-earth person. I was impressed by his friendliness towards the residents of Scranton and his commitment to the city. We were joined by developer Charlie Jefferson. Charlie developed the Connell Building and is working on some other projects in Scranton. I will be writing a separate article about Charlie and his projects. These two gentlemen made my trip enjoyable and highly productive! Mayor Doherty gave me some basic information, before we left the office, about what has gone on in Scranton during the ten years he has been mayor. 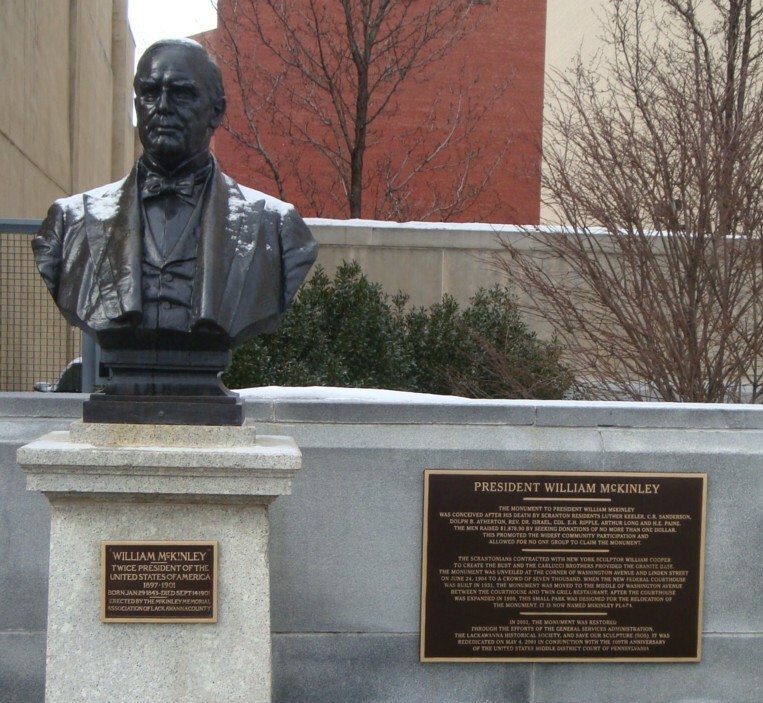 When Mayor Doherty took office there were 22 empty buildings in downtown Scranton. Scranton had hit a low point. He decided his focus as mayor would be finances, the parks system and the downtown. Former Governor Ed Rendell gave Scranton $140 million during the eight years he was in office. It has certainly been put to good use. One thing which pleasantly surprised me is the walkability of the downtown, for a mid-sized city. The nice grid pattern of the streets, good signage and cleanliness were huge pluses. I felt completely safe. Scranton has a low crime rate for a mid-sized city. As we walked and talked it became readily apparent that Scranton has turned the corner. There are plentiful and diverse restaurants in the downtown which include things like Thai, Lebanese and Vegan. A high-end steak house is also under construction downtown. It will be along the lines of Morton’s or Ruth Chris. We walked through the construction area that is being framed-out. 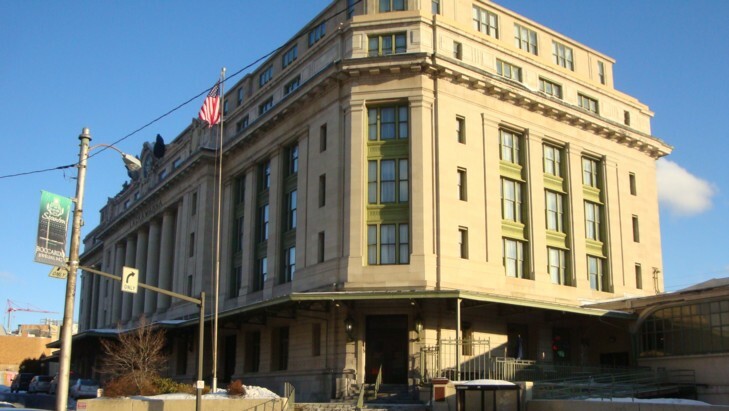 The influx of new center city residents, the Commonwealth Medical College, the University of Scranton, two courthouses, a municipal building, Steamtown Mall and new companies setting up headquarters downtown have swelled the demand for goods and services. 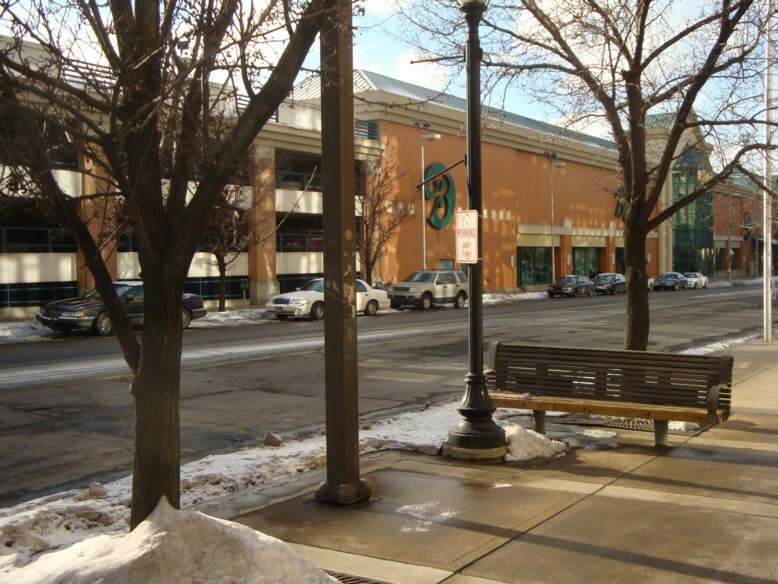 There is substantial foot traffic downtown, a key ingredient to redevelopment. 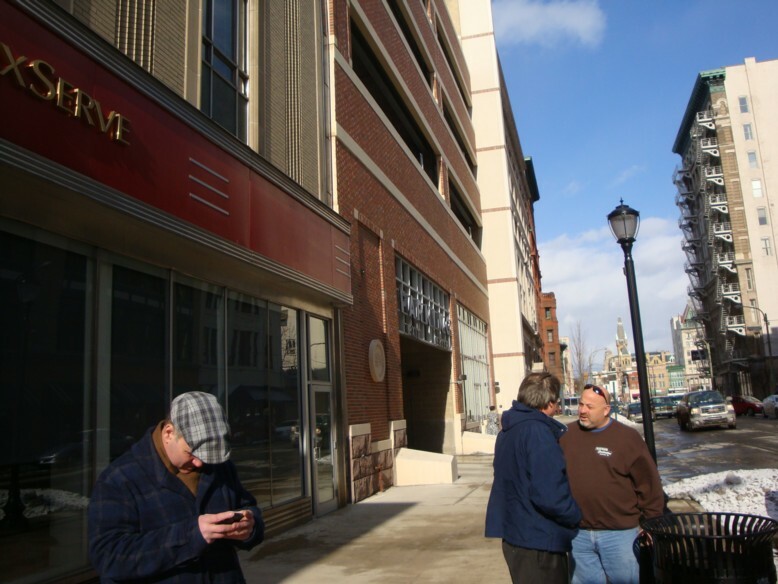 Mayor Doherty has built three new parking garages and rehabilitated one to make sure adequate parking is available for downtown visitors, shoppers and workers. Lack of parking had been an issue that kept people from coming downtown. Several companies have relocated or grown their businesses downtown. 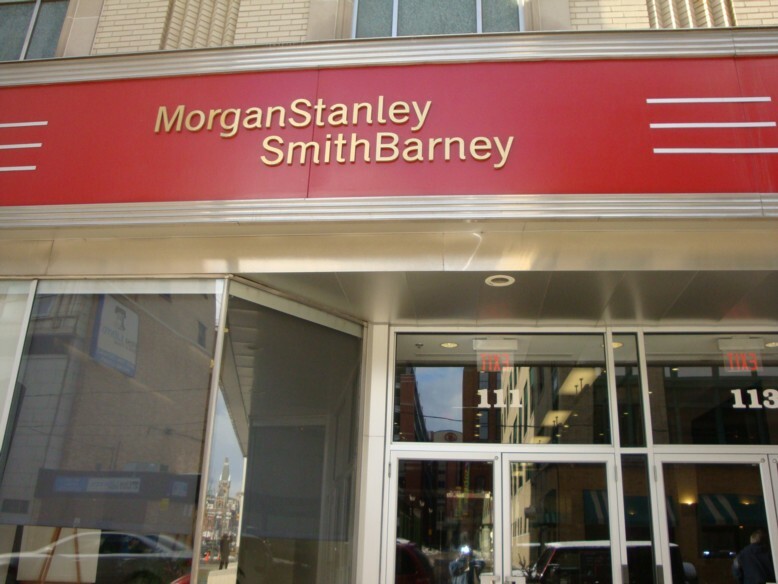 An old Woolworth’s store is now home to Morgan Stanley Smith Barney & Fax Serve, which combined employ 200 people. A high-end salon opened downtown that has grown to 80 employees. Downtown Scranton has a Hilton Hotel and a Radisson Hotel. 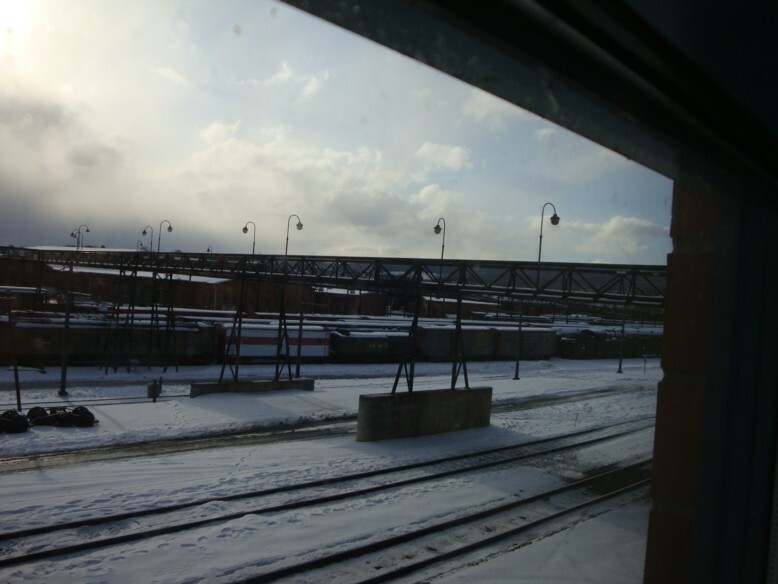 The Radisson is the former Lackawanna Railroad Station. 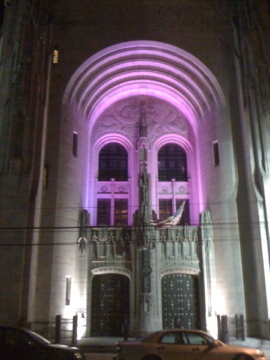 Talk about an adaptive reuse success story! We went inside so the mayor could show me around. It is fantastic! Both hotels are large and well-kept. I asked Mayor Doherty what the occupancy rate averaged and he said “85%”. 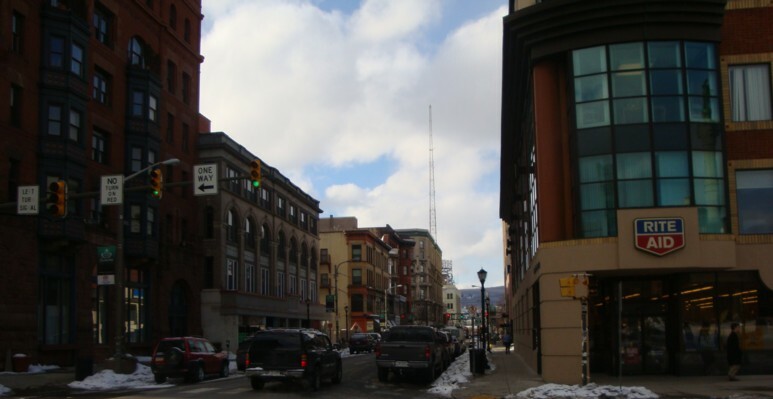 Scranton hosts many events, conferences and meetings which help keep the hotels full and visitors coming into Scranton. The mayor made a good point by saying people visit Scranton, leave impressed and spread the word! The University of Scranton is located downtown and home to 7,000 students. The university is growing by leaps and bounds. Currently there are two enormous construction projects taking place that total more than $100 million. The university is also considering the establishment of a law school which would be another huge economic boost for Scranton. The University of Scranton is a key partner, along with the city, in transforming the downtown. During our tour, we walked past the building used as the fictional Dunder Mifflin Paper Company headquarters in NBC’s hit mockumentary, The Office. 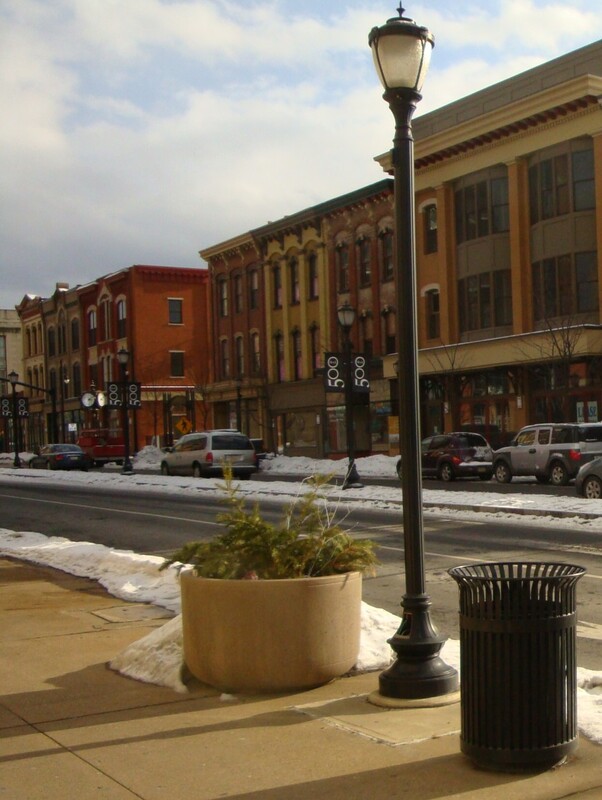 Scranton was on the list of possible locations being considered. When it was discovered the bar across the street from the building was named The Office, Greg Daniels decided it was perfect. The Office has brought a great deal of free publicity to Scranton and has increased tourism. 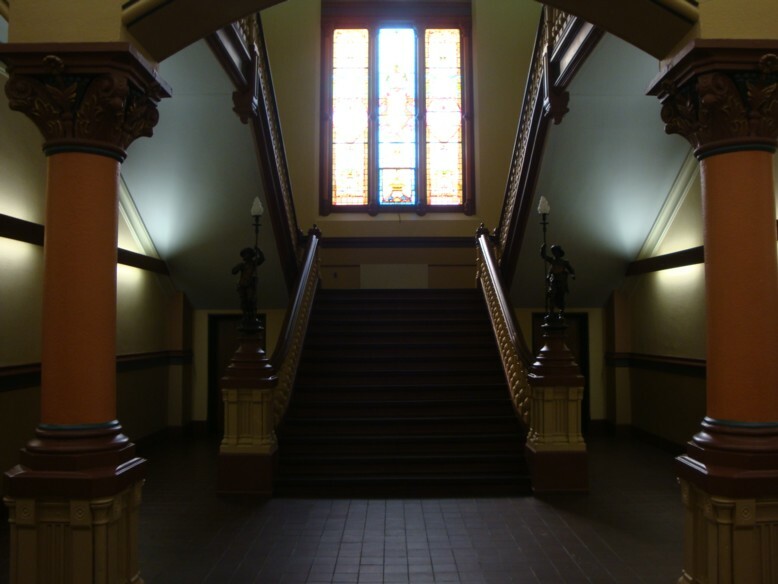 There are monthly tours offered (March through December) and conventions, for fans of The Office, that bring many people to Scranton. 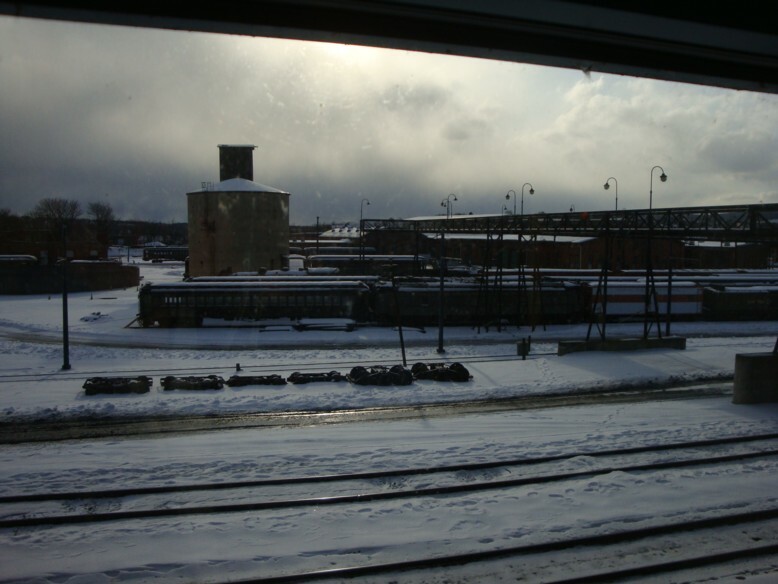 The City of Harrisburg is going to benefit from more urban renewal when Harsco Corporation turns a 21-acre site near the Pennsylvania State Capitol into a regional warehouse and distribution center. The number of jobs created is relatively small at 20; however the site gets cleaned up and given a purpose. Considering its proximity to our State Capitol Complex, this is good news as it will enhance the appearance the area surrounding the capitol. Harsco is spending $2 million to renovate the site which is a significant investment in the City of Harrisburg. The improvements should be completed by April. More good news is that Harsco will be relocating 35 senior-level positions to a new site near its Camp Hill headquarters. This move will help Harsco’s leadership function as a more unified team. This is one of those moments that makes sitting here blogging away every day worth the effort. I wrote a post for Code Blue’s The Pulse blog about an adaptive reuse project, here in Pottstown, that would transform the old armory building on King Street into luxury apartments. This would be significant as there are several other projects lining up along the same lines. If this project is successful, it could jump-start redevelopment in the central core neighborhood. 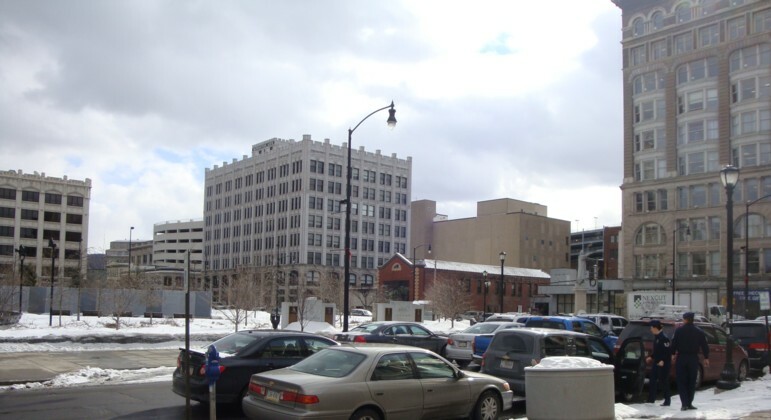 As an example of adaptive reuse in a central downtown neighborhood, I cited the Connell Building project in Scranton‘s central business district. My post and reference to Scranton’s renaissance caught the eye of Scranton Mayor Chris Doherty. 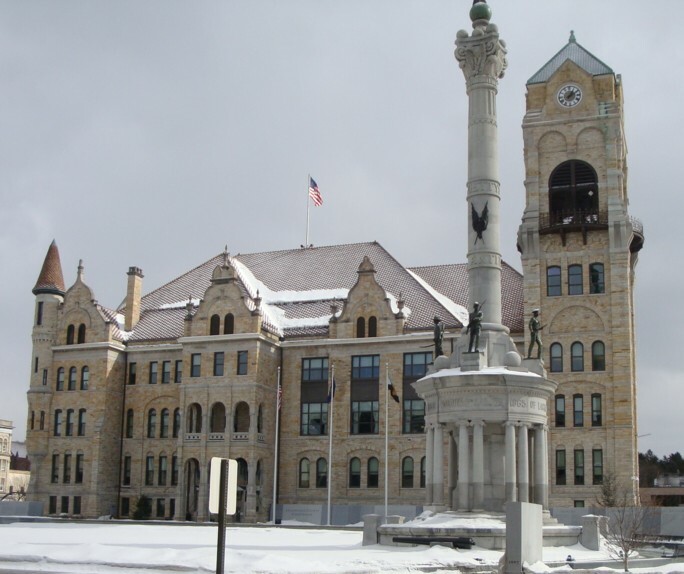 As a result, I am traveling to Scranton on Tuesday to meet Mayor Doherty and get the mayoral tour of Central Scranton. I am more than a little excited! There will be a posting and lots of pictures from my trip! Watch a short but inspiring video with Delaware County District Attorney Michael Green regarding what the DA’s office feels is needed to bring Chester back. A 173-acre site, that includes the former Franklin Mint in Middletown, Delaware County, will become a planned community if developers have their way. The mint site and two other adjacent properties will be developed into a new “walkable community”. This project would take 5 – 10 years to complete and would feature 1,253 homes, 798,000 square feet of commercial space, 235,000 square feet of office space and a 225-room hotel. The new community would enable residents to live, work and play in the same place. This “town center” concept is becoming very popular. Construction would create 4,748 jobs. The number of permanent jobs this project would bring to Middletown is estimated at 2,800! Tax revenue generated from this project, for the borough, school district and county, would be over $8.1 million! 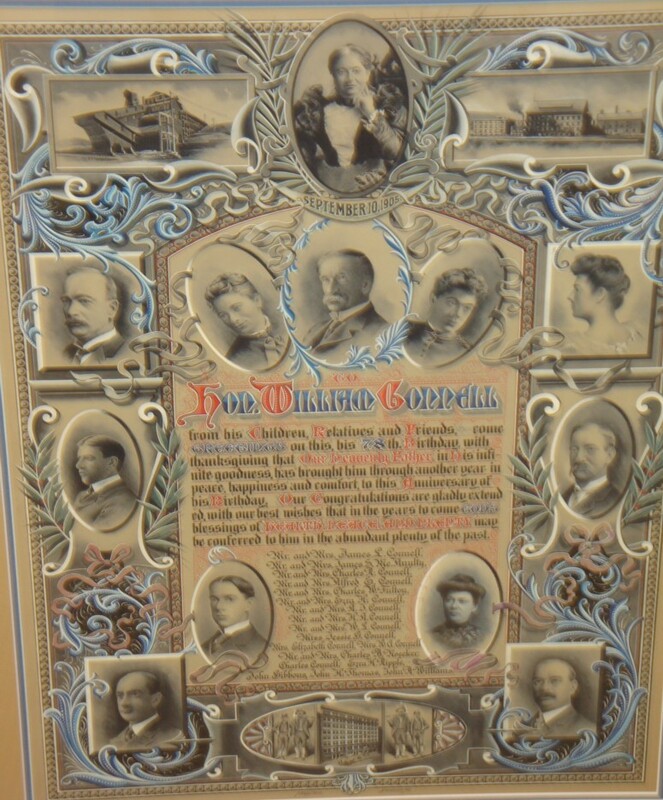 The Franklin Mint, Middletown site has been closed since 2004. Public hearings have already started and developers stated they are willing to hold as many hearings as it takes. 500 people attended last night’s legislative hearing. 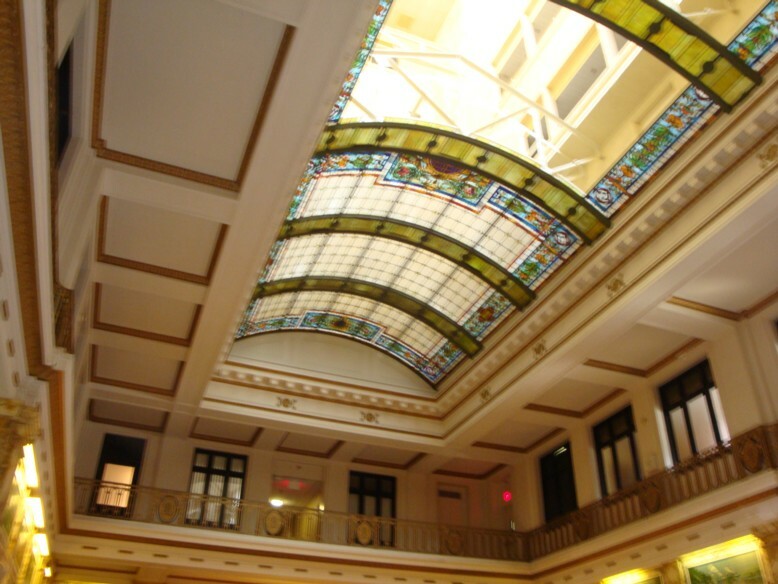 The Franklin Mint redevelopment project is endorsed by the Delaware Valley Smart Growth Alliance and the Delaware County Chamber of Commerce. The project is strongly opposed by a group called Save Middletown. You can read both sides and draw your own conclusions. The demand for Center City Scranton housing is heating up. Another blighted landmark building in Central Scranton is being converted into more than 35 apartments with retail space on the first floor. The 5-story Chamber of Commerce Building was built in grand style in 1926. Brass rails, marble floors, 14-foot tall built-in bookcases and rollout doors are featured in the beautiful interior. The building served the Scranton Chamber of Commerce until 1998. Developer Charlie Jefferson, is the force behind this transformation. 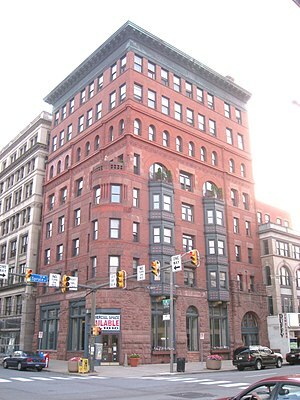 Jefferson was also responsible for the Connell Building’s transformation into loft apartments. All of the loft apartments were leased before anyone moved in. Jefferson’s total investment in downtown Scranton is $35 million. This Chamber of Commerce building sale was some where in the vicinity of $1 million according to Jefferson. The former East Scranton Junior High School will be converted into 24 apartments. A $3 million grant from Ed Rendell will help to transform this property into more apartments. The school has been closed since 2001, according to a Facebook alumni page. The construction of The Commonwealth Medical College is going to drive demand for 600 additional apartments in central Scranton in the next five years. The amount of recent development in Scranton has been astonishing given the economic downtown during the last several years. An increased population in the central business district will spawn the need for stores, restaurants, clubs and services like banks, dry cleaners, grocery stores and other conveniences for residents. The Commonwealth Medical College is building an 180,000 square foot building in downtown Scranton that is opening this year. The new facility will house the school’s educational and research programs. A vacant property is set to become the new home of the Susquehanna Art Museum in Midtown Harrisburg. Midtown is a neighborhood in transition. If you recall my 3rd in the Burg post, I touched on Harrisburg’s emerging arts and cultural scene. 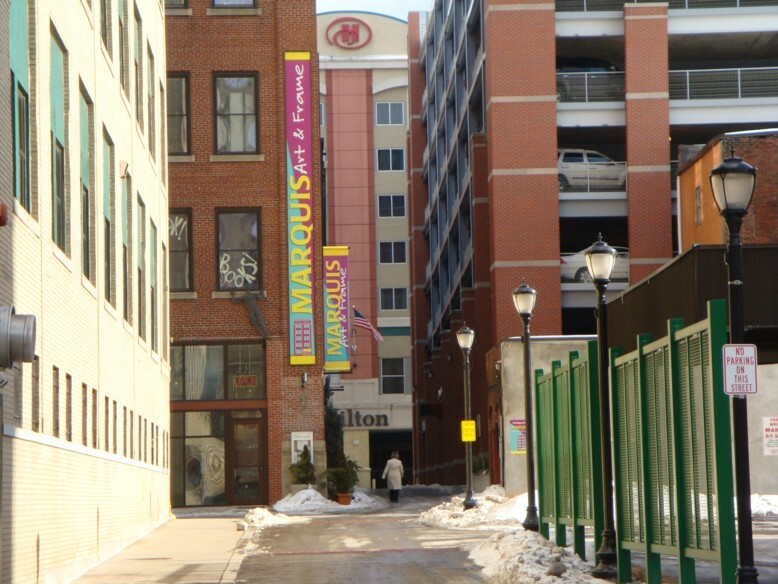 This neighborhood has become a focal point of urban renewal and revitalization by making itself a “destination” that is attracting people to Harrisburg. Millions of dollars are being poured into Midtown redevelopment. Creative business owners like Midtown Scholar Bookstore, Midtown Cinema, Midtown Harrisburg Arts Center and a growing list of restaurants and cafés are also leading the way. The addition of the Susquehanna Art Museum will strengthen the fledgling district and attract more business to the area. Having events like 3rd in the Burg already in place will only accelerate revitalization efforts. 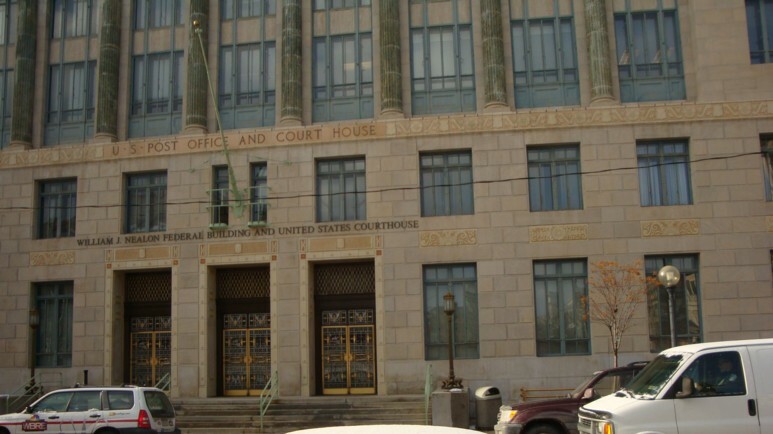 Another huge addition to Midtown will be the new federal courthouse that will break ground in 2013. The $130 million building will bring an influx of workers into the neighborhood that have disposable income to spend on things like food and arts/culture, along with other businesses that will sprout up as the result of all this development. The site of the new federal courthouse is now a parking lot. GreenWorks Development has been busy spending redevelopment dollars in Midtown. They own a large amount of property in the neighborhood, including the new museum site. In addition to the $50 million they have spent thus far, they plan to spend another $75 million on future projects. Harrisburg Area Community College and Fulton Bank have already benefited from GreenWorks’ projects. A four-story Campus Green building, costing $14.3 million, is another project that has benefited Midtown. GreenWorks is also involved with residential development by creating affordable and market-priced housing in Midtown, which will be critical for Midtown’s continued redevelopment. Midtown Development has also been a player in this neighborhood’s revitalization efforts by renovating blighted properties. Local business owners and residents are optimistic. Most see a bright future for Midtown. There are always some skeptics and detractors, but the majority of residents see these changes as taking their neighborhood in the right direction. There is still a long road ahead and things take time, but tangible progress is being made to revitalize Midtown Harrisburg and make it “the place to be” in Pennsylvania’s capital city. I am always excited to report on these things! The 7,100-square-foot Kings Mill Depot is now open to any for-profit corporations in the start-up phase, small businesses entering a growth phase or existing companies launching new projects. The best part is that the incubator is for firms dealing with technology, health care, sciences or engineering. The incubator is all about creating good paying jobs that have a high growth potential. Lord knows Pennsylvania needs decent paying jobs that will support families! Applications are being accepted through the J.D. Brown Center for Entrepreneurship at York College. Faculty, staff and students are available to help with business development! Contact Jeff Vermeulen at (717) 815-6639 if your firm would like to take advantage of the awesome opportunity! Lansdale Borough Council is looking to expand the size of their Economic Development Committee (EDC) in the next two months. The EDC will expand to seven members, four of whom will be borough residents or borough business owners. The other three members will be council members, by appointment. The chair of the EDC will also be a councilor. The strength of the EDC is that this committee is borough business focused by cutting red tape and being an advocate for business and not government focused. The idea is not to create another budget item. Wednesday evening, council gave approval to create an ordinance to formally establish the committee. This came about by changes in legal requirements when council passed an economic incentive development ordinance last year. The economic incentive development ordinance gives discounts on electricity purchased from the borough to qualified businesses. Ordinance language mandates that any business who is interested in this program needs to go before the EDC. Officially establishing this committee by ordinance was connecting all the dots. The Lansdale Business Association (LBA) will also continue to stay involved with this committee by hopefully continuing to have an LBA member on the EDC. The EDC will also be working closely with the Communications Commission. The newly created Communications Commission is tasked with creating a “marketable brand” for the borough. Initially the EDC and the Communications Commission will be working together to create an image and branding for Lansdale. 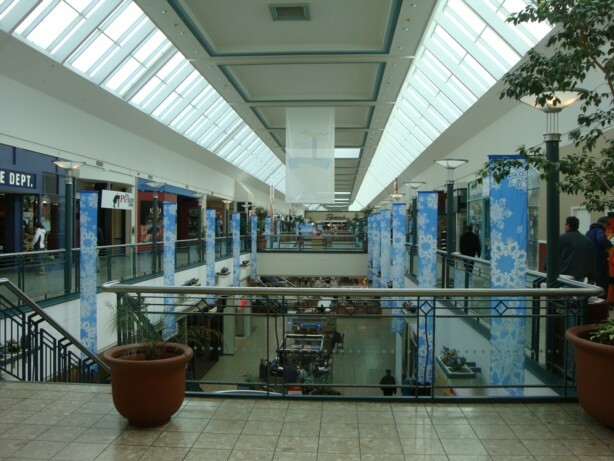 Once these tasks are completed, the EDC will take the newly developed brand image and market Lansdale. The Communications Commission will be responsible for technology, signage, the website, attracting technology and keeping residents updated. We give this well thought out effort, with expanded resident involvement, two Roy’s Rants thumbs up! Scranton Mayor Chris Doherty is a man on a mission in 2011. His goal is to make improvements at two existing city parks and create a new pocket park. Doherty hopes to use Community Development Block Grants and a $50,000 state grant from the governor’s office, which was verbally committed to by Ed Rendell. 1700 Perry Avenue was formerly the site of a school and is now a vacant lot. Doherty thinks this site would be ideal for a pocket park. 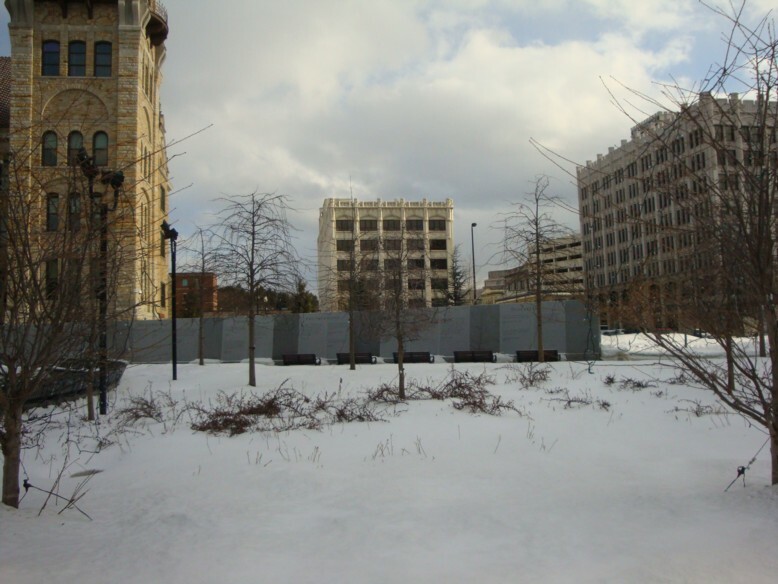 Scranton City Council eliminated funding for the proposed park from the 2011 budget. Undeterred, Doherty is seeking other funding as listed above and additional grants through Lowe’s, Home Depot and Kaboom. The mayor estimates he needs $75,000 to complete the North Scranton pocket park, which will feature a swing set, playground area and bike path which will also include a small BMX trick park. This vacant lot is a blighted property. Creating the park will clean up blight, add more recreation and improve property values in the neighborhood. The Clover Field Park is next on the agenda. The Mayor hopes to add a playground area to a section of the park. The playground area would serve neighborhood children and the children who take part in the West Side Jets junior football program. The West Side Jets use the park as their home base. The cost for these improvements will be $135,000 and funded through the Community Development Block Grant program. The third project will impact the Novembrino swim complex, 10th Avenue, also on Scranton’s West Side. The deep water pool is going to be eliminated and a splash park added in its place. Adding a splash park eliminates the need for lifeguards and cuts down on the city’s water bill. The splash park is expected to cost $183,000. The city is looking at their pools, which are all around 40 years old. Doherty said “We have an obligation to reinvest in neighborhoods, stabilize them and maintain property values.” Mr. Mayor, we could not agree more! 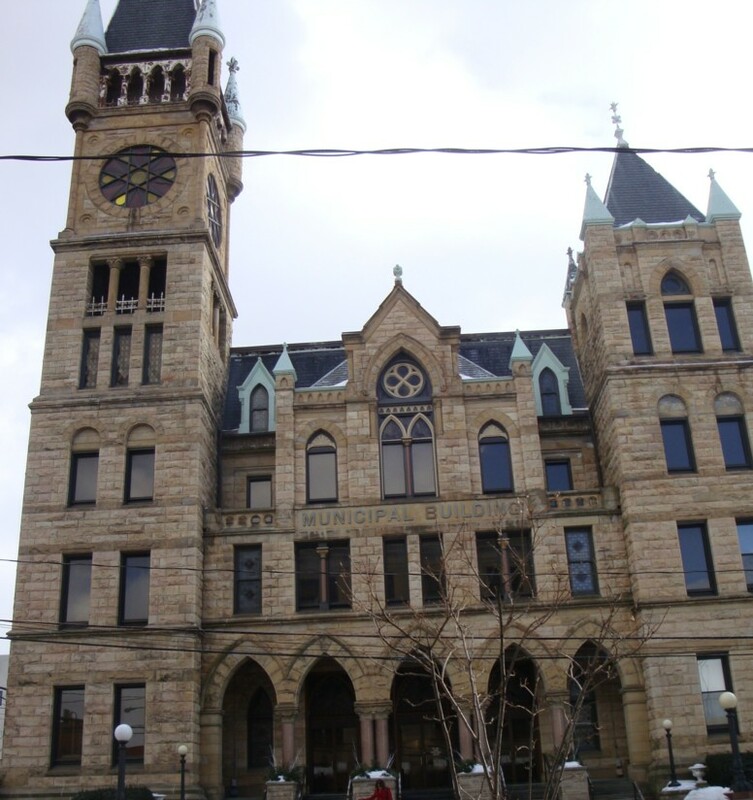 A new category labeled Revitalization has been added so that readers, specifically interested in municipal revitalization/economic development, can find all related posts under this subject in a single location. I went back through all 930 posts to ensure they were all included. 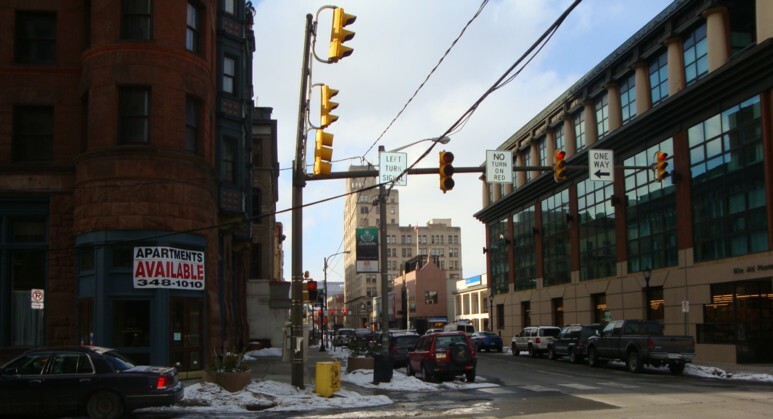 As of this writing, there are 60 posts about revitalization and economic development in various Pennsylvania cities and towns under the Revitalization category. Lancaster And Harrisburg Promote The Arts And Their Revitalized Downtowns With Monthly Events! This is an inspiring story about how Lancaster’s success with their First Fridays event has inspired Harrisburg to follow suit. Imitation is the sincerest form of flattery! Lancaster’s First Fridays event now involves 70 venues! This free event brings thousands into downtown Lancaster! This not only benefits the arts scene but all downtown businesses and restaurants. First Fridays runs from 5 p.m. to 9 p.m. every month, without exception! People come from as far away as Philadelphia and Baltimore! Franklin and Marshall College is the presenting sponsor of this event. As a side note, Franklin and Marshall has been instrumental in helping Lancaster with economic development! 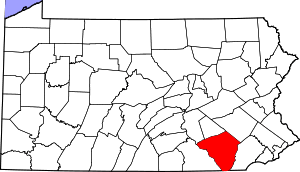 While Lancaster has a larger population than Pottstown, it is also a very walkable city of only 7.40 square miles (land area). A year-round monthly event in downtown Pottstown could yield similar results that would benefit our emerging arts community and our downtown stores and restaurants. And maybe attract new ones. Some folks in Harrisburg had watched the success of Lancaster’s First Fridays. A year ago, three downtown business owners got together and started 3rd in the Burg. This idea has grown into a monthly event with up to 15 venues participating already! That is great for the first year! The next 3rd in the Burg takes place on January 21st and will feature art, music and food from downtown to midtown! Nonna’s Delisioso! will feature a 3rd in the Burg dinner special. Nonna’s co-owner, Grace Diaz was quoted as saying, 3rd in the Burg has “introduced people from here and neighboring towns and cities to the revitalization that has taken place in our developing arts community.” Bingo!! What better way to entice people to come take a “look-see” than with the arts, food and music. Participating businesses are experiencing increased sales and foot traffic at their locations. The event draws many people into downtown Harrisburg who would not ordinarily go there. Having multiple participants increases the public’s enthusiasm, creates a positive “buzz” and creates a snowball effect. The ball started out with three participants, now there are 15. As the momentum builds and the crowds increase, other merchants will take part in making the ball bigger. As shoppers stroll between participating merchants, they will pass other stores and restaurants along the way. I can bet you they will stop in those places as well. The other part of the snowball effect is the arts community. As this event grows, it will inspire other artists to take part and possibly move to Harrisburg. Thereby increasing Harrisburg’s arts community and growing 3rd in the Burg further. The desired result of 3rd in the Burg is to make Harrisburg a “destination” for the arts, shopping and dining. I give that two Roy’s Rants thumbs up!